“This is the story of a man marked by an image from his childhood.” That’s the opening (the first voice) of Chris Marker’s film. The phrase broaches a story (the hero will travel in time toward that childhood image); the destruction of cities and the devastation of the earth’s surface have threatened the very reality of the present and have thus let loose temporal virtualities normally locked up or held captive in the past (the past consisting only of a series of images that have become autonomous, tied to the living only by some affect or trauma). 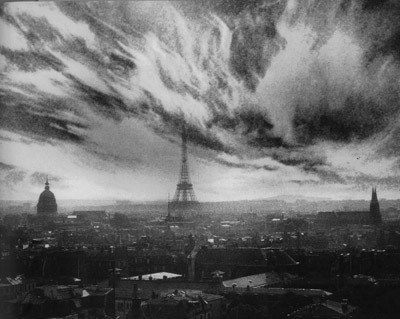 The fiction of La Jetée is thus a certain kind of work—whose object is the film’s hero—concerning the paradoxes of memory, concerning the inclusion of the past that lives on within the hero as an image, as a secret that the laboratory experiments in the underground camp will try to make him confess. The realization of the confession comes with the death of the hero himself as he relives a moment of his past, as he meets once again the girl whose image has haunted him. “So it’s a science-fictional hypothesis that underpins the organization of this film and, with particular emphases (the distance of the narrator, the modesty of the novelist), regulates the metaphysical problems that are then rapidly elaborated into a science-fictional argument in such a way as to render the paradoxes of lived time with the exteriority of an implacable syllogism. That syllogism is what leads the living human to meet his death, a death whose image is his secret. “In the good old days before cappuccino and sushi and ruccola went global. Well before red peppers spiced up our salads. Before adventure became a sport, and nature became a spot. In the good old days the Paris Metro smelled like cigarettes and lofts were reserved for only the New-York elite. Before seat belts beeped when they weren’t fastened and spies really did come from the cold. Before cell phone conversations were banned on trains. Before Googling became an aspect of human behavior. In the good old days when every second person was not a hero and every third was not a victim and every fourth was not stressed. Before we had an identity on line. Before toll-free numbers were delocalized and sent to Africa or India. Before the idea of a preemptive war existed. Before we thought there would never be any billionaires in Moscow. Before beach volleyball and snowboarding became Olympic sports. Before fusion cooking and before liquid nitrogen was used to make minute ice cream. Before you could get an espresso in Hamburg or Milwaukee. When Thai food was exotic and cholesterol a curious word used only for Scrabble games. In the good old days when people walked on the moon and snow covered London for weeks during Christmas time. No, it’s too far away, I don’t remember all that. It never happened.
. Philippe Parreno & Rirkrit Tiravanija, Stories are Propaganda. Original Soundtack text of Stories are propaganda, a film by Philippe Parreno and Rirkrit Tiravanija, shot in 35mm in China in 2005, transferred on DVD and of a duration of 8’40”. Yara Flores, Spirit Duplication, Cabinet, Issue 39, Learning Fall 2010. 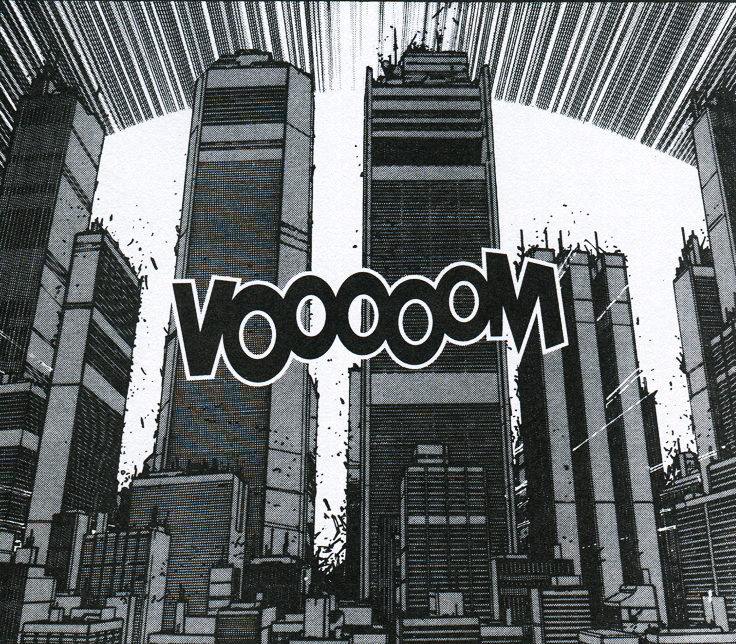 Image: The destruction of Neo Tokyo from Katushiro Otomo’s Akira. Via Sci-Fi-O-Rama.